Rent a powerful line array system for your concert or large event. QSC KLA line array speakers are a high efficiency, high power solution for your large event. Each speaker contains a 500 x 500 watt amplifier module (1000W). 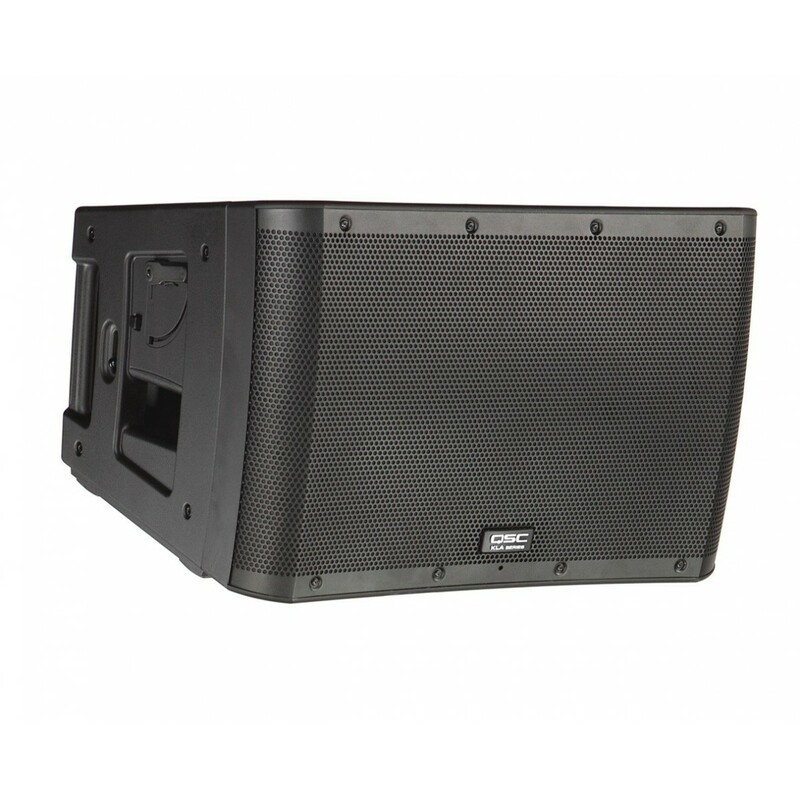 Up to 2 KLA 12 speakers can be pole mounted on top of one of our QSC KW181 subwoofers, and for larger setups, 3 speakers can be mounted together on truss.